They say no piece of art is truly finished, merely abandoned, and I can definitely say that this applies, at the very least, to my own writing. While some writers may be able to jot down a roughshod draft and somehow feel that so long as it hits the reversal/climax, it’s done, I know that I have a tendency to over-agonize about my work, and therefore over-polish and sometimes over-edit it. So, my number one goal this year is to FINISH a few of the longer pieces that have been lingering in my desk drawer. First and foremost among these is my novel A Litany of Broken Things, which started life as a short story, and has been gently expanding, like leavened dough, ever since I promoted it to a full novel during NaNoWriMo 2015. If I do ONE THING this year, it will be FINISH A DRAFT OF THE DAMN THING. 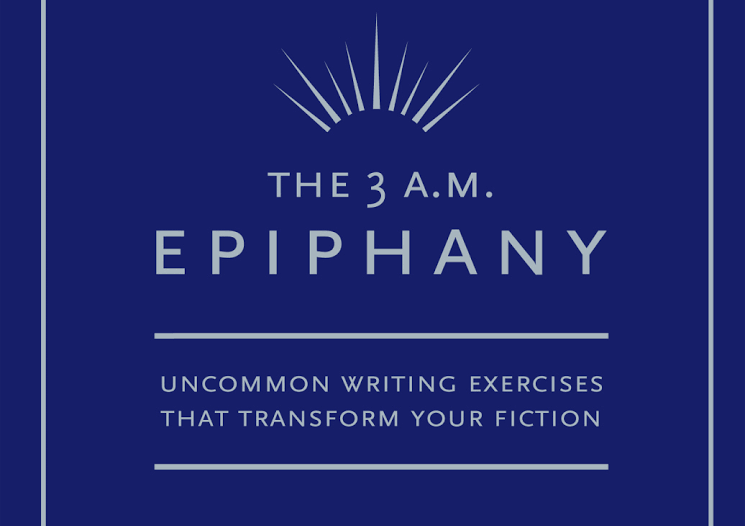 First proposed in Julia Cameron’s The Artist’s Way, morning pages are one of the most effective ways to build writerly discipline and allow yourself to shape words without the pressure of having to create something readable. Basically, the idea is that every morning, before doing anything else, you sit down (or sit up), and write out 3 pages in your notebook, long hand. I’m slowly building up to 3 pages in the morning, but if you’re better at getting out of bed than I am, 3 pages is an absolute piece of cake once you get into the hang of it. Plus, I’ve found that about half-way through, you find yourself having mind-blowing epiphanies. If you haven’t tried this trick yet, I definitely recommend giving it a chance–a week or so of consistent practice. A couple years back, one of my friends gave me one of the best writing resources I’ve ever loved, and it wasn’t Strunk and White, or even Eats, Shoots, and Leaves. It was The 3a.m. Epiphany by Brian Kiteley, and for a person who is almost deathly allergic to generic writing exercises, it was a breath of fresh air. The Epiphany encourages you to play with form and structure, and provides the prompts that strike the perfect balance between constraints and open interpretation. But even if that sort of thing doesn’t appeal to you, there are countless writing prompts you can find throughout the internet or in your everyday environment. Pictures, certain words, lines of poetry, snippets of conversation–let yourself get lost in a piece of writing that doesn’t have to serve any purpose except to be written. And if you’re completely stuck for ideas, I’m hoping to post a few evocative prompts every now and then myself–just make sure to follow. Of course, expanding your skills never happens in a vacuum. So make it a priority this year to find a writing community that you can participate in to share works, woes, and triumphs. 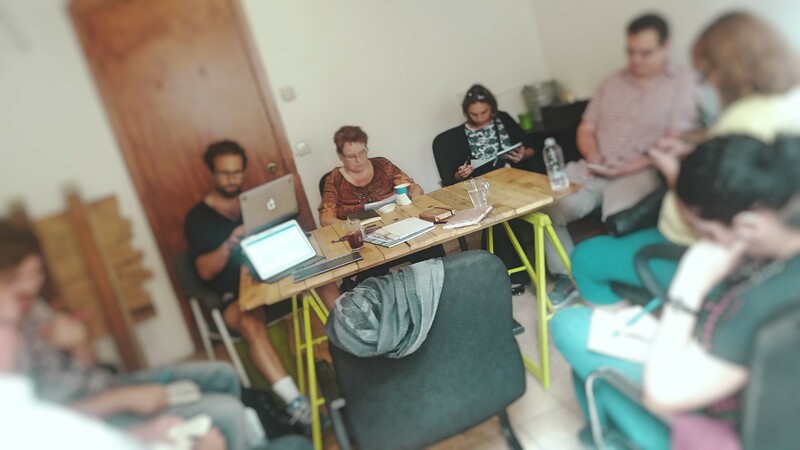 Here in Malta, creative community is scarce, and so, I find myself building a writing group myself, one member at a time… and it works! So however you do it, whether online with a group like Scribophile, or by building a local community from scratch, find other people to share your writing with. Build up their motivation and inspiration, and you’ll find your own growing as well. Finally, my last major writing goal this year is to share more of the work that I’ve written, and to find more ways of sending it out into the world. To that end, I’m doing two big things this year that I’ve never tried before. The first, which I’m super excited about, is that I’m turning one of my short stories (which is half-way between a short story and a novelette, and therefore unfit for most standard literary publications) into an ebook, which I will be releasing later this year. I’m collaborating with my friend and brilliant artist Steffe Warrington, and we’re working really hard to make it something beautiful. I’m also going to be releasing e-editions of some public domain works, just to get a feeling for how the whole self-publishing world works. I’ll of course be sharing these works and insights on the blog. Secondly, because I do have a backlog of unpublished work, I’m doing something a bit unorthodox and a little bit scary for me, which is that I’m challenging myself to submit one piece to a literary magazine, publication, agent, or zine EVERY SINGLE DAY. One submission a day. For at least three months. I’m finding markets through The Submission Grinder, and I’m hoping that this sort of slow but steady submission process will mean I’ll always have something out there, with the potential of being accepted, and even though it’s scary, it’s also extremely motivating. And even more motivating would be if I had other writers to share the process with. In any case, those are my goals for this year. I’d love to know what you’re planning to do in 2017 to build your writers’ life. Whether you need support, cheering, a writing partner, or just a bit of venting or crowing, definitely share your ideas in the comments! Oops got cut off…anyway complete it close to my satisfaction (lol voice to text smh), send out 8-12 queries before April, and start writing my 2nd project once my queries are out.